Tebow Time has officially come to an end in Denver and thus ending another era in Broncos quarterbacks. QB Tim Tebow was traded today to the Jets. The Broncos agreed to trade the quarterback and a seventh-round pick in the 2012 NFL Draft to the New York Jets in exchange for picks in the fourth and sixth rounds of this year's draft. A small price to pay for a great young man. There were two teams interested in trading for the quarterback in the NY Jets and Tebow's home town team the Jaguars. This was said by Elway in a statement after the trade "Our goal was to do the best thing for Tim and the Broncos, and I believe the opportunity that presented itself with the New York Jets accomplishes that objective,". "Tim made a lot of strides last year and has a very promising career ahead of him. If anyone is willing to put the work in to be great, it’s Tim Tebow." I personally think that Tebow was put in the better situation in the Jets. Whether Tebow had the choice to pick the team or not this was the better choice. The Jaguars staff were forced by their owner to trade for Tebow, it may be his home town but he really wasn't wanted down there. Plus he would be a back up for a while with the Jaguars. The Jets on the other hand wanted Tebow and have a specific role lined up for him. He will see the field next year and probably has a better chance in beating out Sanchez then any other QB. Also there is some mention that Tebow preferred the Jets because there is a bigger audience for him to share his message. Take that as you want. One thing I do worry about is the media in New York may turn Tebow into a joke but he should be able to handle it. "I have a great deal of respect for Tim and the positive impact he makes both on the field and in the community. He has a bright future in this league, and I’m hopeful he will enjoy continued success with the Jets." I like this quote because it demonstrates a point I want to make. Elway believes Tebow can be a good quarterback in this league but it is clear he doesn't want to wait for it. He didn't want to spend the next 3 to 4 years turning Tebow into that Quarterback. 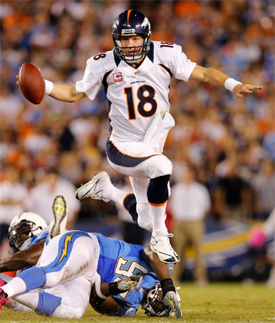 He wants to win now and Manning gives the Broncos the best opportunity to do so. He wants to win in the next few years, remember the 3 year plan. Tebow he believed won't get him to that goal fast enough, Manning might, who knows? But as it currently stands if you took everything out of the equation and compared the two players you would pick Manning every time. Elway is in the business of players not people. I will say this Tebow is probably the greatest person to play Quarterback for the Denver Broncos. There has never been anyone like him before and there may never be anyone like him again. We as Broncos fans brought into the Tebow phenomenon. I think this is one of the reasons people are so devastated by this decision. We connected with Tebow on an emotion level that we probably haven't done before with other quarterbacks or players. We all rid the emotion roller coaster that was last season. We wanted the underdog to succeed and to prove all the doubters wrong. More of us has been invested into Tebow than any other player before and it will be hard to cut some of those ties. I for one will follow Tebow's career with great interest. In 23 career games -- including 14 starts -- Tebow completed 47.3 percent of his passes for 2,838 yards, 17 touchdowns and nine interceptions. He added 887 yards and 12 touchdowns on the ground. In two postseason games, Tebow threw for 452 yards and two touchdowns, rushing for 63 yards and a score. His five fourth-quarter comebacks in 2011 tied Eli Manning and Alex Smith for the NFL lead. "Tim Tebow deserves an enormous amount of credit for what he accomplished and how he carried himself during his time with the Broncos," Elway said. "From taking over a 1-4 team and leading it to the playoffs to energizing our fans and this community, Tim left an extraordinary mark on this organization. 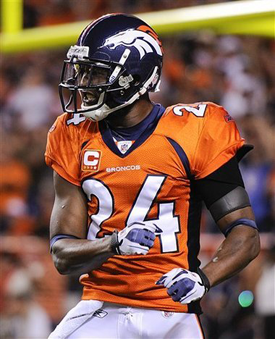 His time in Denver will always hold a special place in Broncos history." At Manning's introductory press conference Tuesday, Elway said that "the toughest thing about this whole thing is Tim Tebow because of what I think about Tim Tebow." In his statement Wednesday, Elway commended the quarterback for how he has dealt with everything. "As a former player, I know the last two weeks were not easy for Tim," he said. "He was put in a difficult situation, and I commend him for how he handled it with the same first-class manner he displayed throughout his career in Denver." I thank Tebow for handling this situation in such a perfect fashion and not leaving a bitter taste in our mouths. 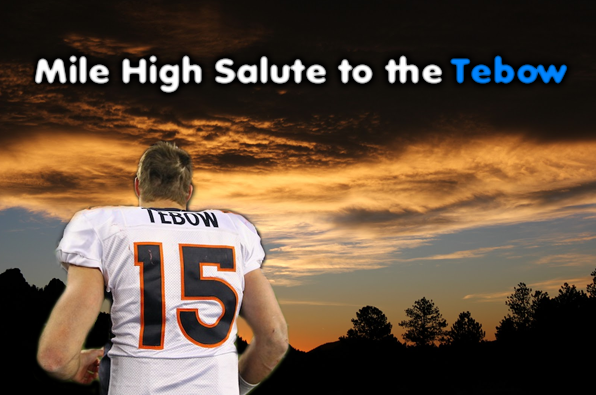 Tebow is all class and I give him a Mile High Salute goodbye. Good luck and God Bless. With the picks received from the Jets in exchange for Tebow, the Broncos now have seven selections in the 2012 NFL Draft -- a first-rounder, a second-rounder, a third-rounder, two fourth-rounders, a fifth-rounder and a sixth-rounder. 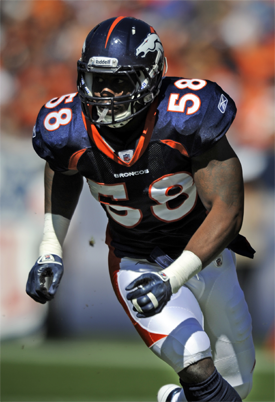 Wide Receiver Andre "Bubba" Caldwell is the newest Denver Bronco, signing a 2-year contract this afternoon. 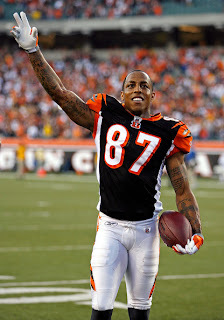 A former Florida gator and teammate of Tim Tebow's during their National Championship in 2006, Andre was chosen by the Cincinnati Bengals with the 97th overall (3rd Round) pick in the 2008 NFL Draft. He ran a 4.37 at the 2008 Combine, but doesn't play that fast. Andre will compete for the 3rd Wideout spot and play Special Teams for Denver. He is a willing blocker and can play both the Z (flanker) and slot positions on Offense. Caldwell measures up at 6-0, 195 and has 4 seasons under his belt. The 26 year old has 124 career receptions for 1,172 yards and six Touchdowns. He also has experience as a Kick Returner, with 45 Returns for a 21.2 average. In 2011, Andre appeared in 13 games (2 starts), caught 37 passes for 317 yards, an 8.6 average, with 3 Touchdowns. 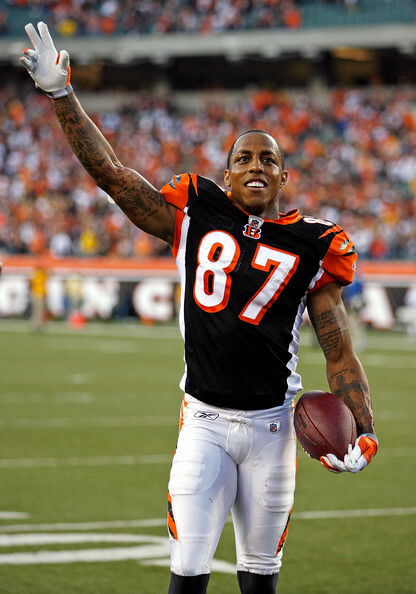 Caldwell is the younger brother of Reche Caldwell, former NFL wide receiver and Florida Gators star. 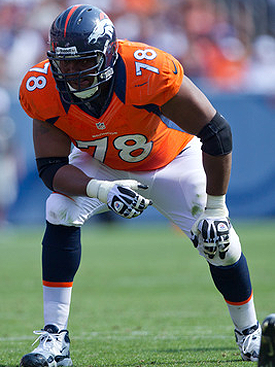 Welcome to Denver Bubba. Andre looks like a good fit and has some talent. He will be a nice replacement for Royal. Unfortunately we missed out on resigning DT Bunkley he signed with the Saints on a 5 year deal. He may be regretting it though after massive suspensions where handled out to the Saints today. Head Coach Sean Payton is done for the year and the Saints GM is also gone for 6 months. The Saints also lost 2nd round picks this year and next. Rams DC Williams was suspended indefinitely. Except to hear about a lot of free agents coming to Denver in coming days as the Broncos are now the place to be. CB Tracey Porter will be visiting and I believe we are bringing back in some of the other guys that already visited. A tough day in Broncos history but we shall go on. ~ Aussie. I hope that is enough to say and that you guys and gal will feel ok. I know this was a tough one to take and will take some time to move on from. Remember we have felt this way with other qbs and will feel it with qbs in the future. We have to live with the choice as there is nothing we can do about it. What has happen has happened and we can't change that. Lets just hope the Broncos win the next three superbowls to hopefully make up for this decision. 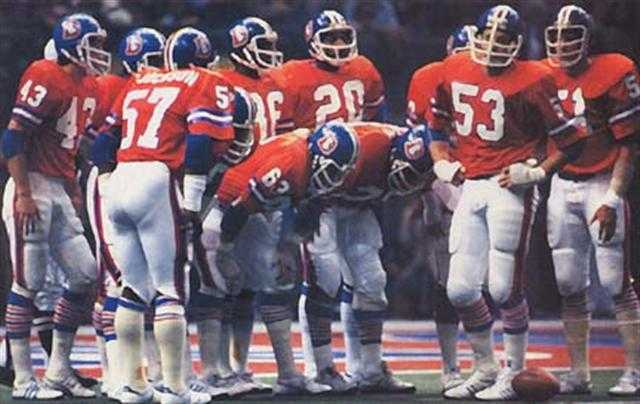 And Digger I also read that you may be done, I hope not bro you have a lot of Bronco knowledge I would hate to lose. Hopefully we can move on from this and in one piece. I will always look out for you. Though disappointed I am still pumped for the season, I am excited and interested. 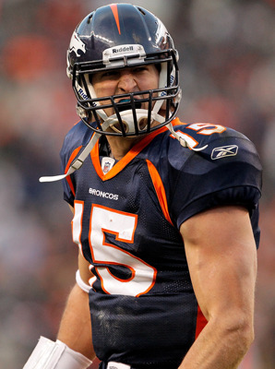 But I will miss Tebow and what he brought to the Broncos community. Top bloke. Damn it, spencer Larsen signed with the patriots. I really liked this guy and he was under used here. Hopefully the patriots can use him and show what a true talent that Larsen is. We will miss you storming Mormon. Awesome we got Tracy Porter!